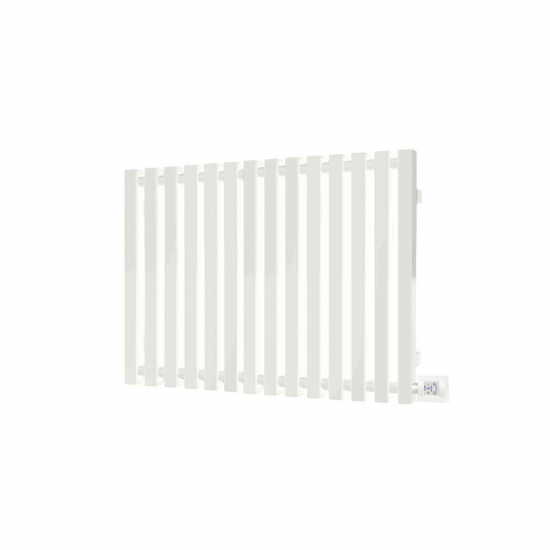 The 800w Terma Triga E designer electric radiator is an elegant heating solution that supports smart control via Bluetooth. Using an Android or iOS device, control the Triga from the palm of your hand and access your programming and energy consumption statistics with ease. Please note: The Terma Triga E is part of our range of bespoke, non-stocked products. Due to the fact it is custom made, this item is non-refundable unless damaged. Terma Triga Designer Electric Radiators blend unique heater design with advanced controls, providing a stylish and functional heating system. This 800w Triga is perfect for average-sized living areas and comes finished in white, with anthracite and vertical versions also available.